Well, this is it, I am officially ready (or not?) to knit my first lace-ish shawl. Wish me luck! I have knitted some simple shawls before, I know how to knit and purl and the most basic increases and decreases. I want to move on and Zsuzsa presented me with this pattern: she said it was simple enough for a first lace project, but will demand some learning from me – ideal. I have my yarn (sport weight) and chosen my needle. I knitted a sample to see what size looks best but the gauge is not important as I can knit this shawl as large as I want, until I run out of yarn. I tried to familiarize myself with the pattern, this is the first major challenge: I have never knitted from a chart before and to be honest I find it a bit scary. I looked at what the symbols mean – so far so good – but then I made a mistake. I tried to imagine how it will go, trying to make sense of all the chart at once. Of course I panicked and had to call Zsuzsa for some reassurance. She told me to stop overthinking and just get on with it and she was right. Deep breath, and I cast on the first stitch. See you next time, in part 2. 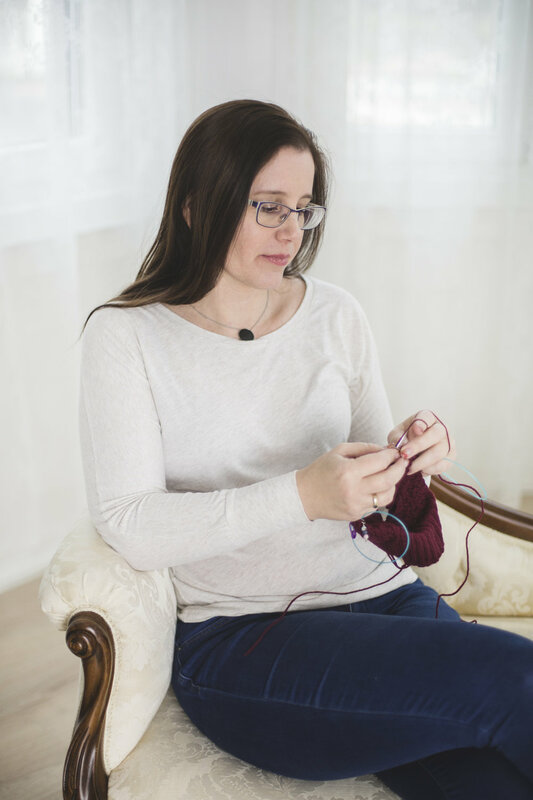 When you're a beginner knitter too, you can download the checklist here, to avoid mistakes in knitting.